Summer Series: 10 Ways to Make Your Open House a Hit! 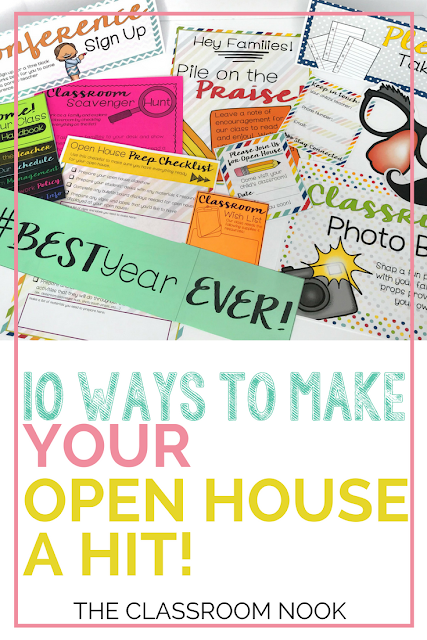 Open house is your time to shine with your students' parents. 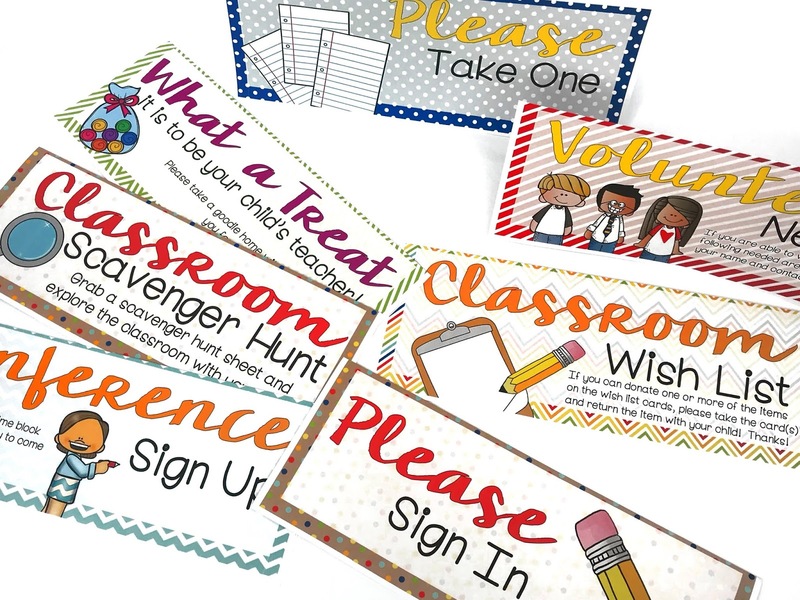 You are inviting them into your classroom, so of course you want to be the hostess with the mostess! 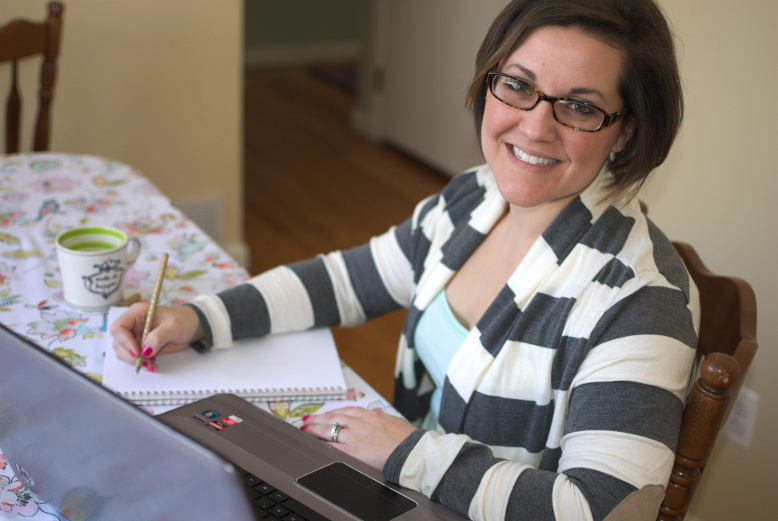 Planning a success and memorable open house doesn't have to be difficult. 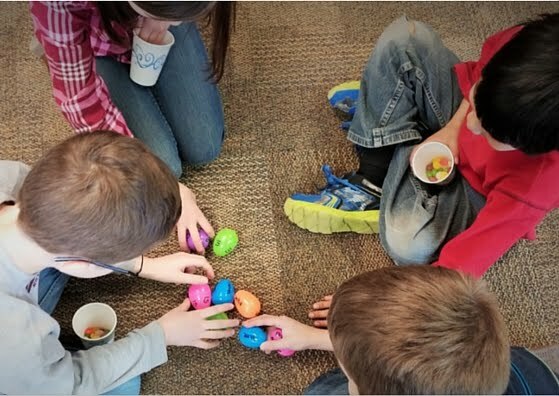 With these fun ideas, you'll make your students and their families feel right at home and excited to be a part of your class! 1. Create a checklist! Who doesn't love a good checklist. It's easy to forget small details like making copies of an important paper that needs to go home on open house night, or putting out your volunteer sign-up sheet. A simple checklist will help you dot all you "i's" and cross all your "t's." 2. Prepare ready-made signs to guide parents as to which forms they need to grab, what sign-up forms they should be filling out, and any other information they need to collect. 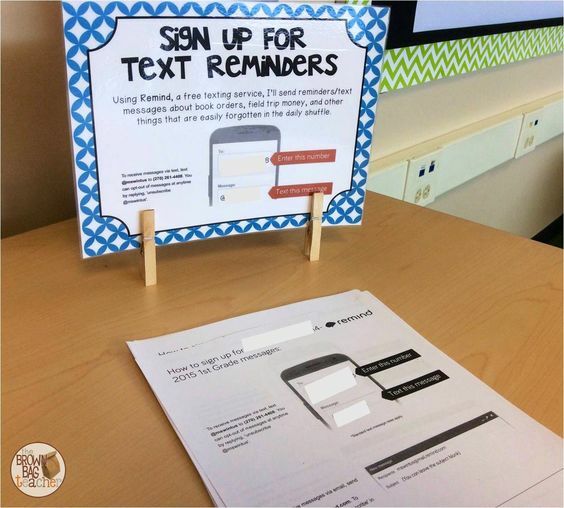 Having these prepped signs will free you up from repeating the same information over and over, as well as allow you to connect with more parents. 3. 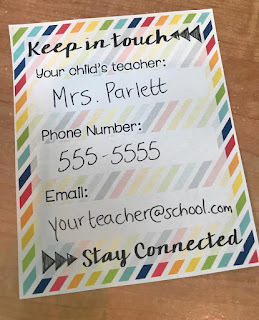 Create a simple contact card that parents can take home to have on hand in case they need to reach you. They can easily put their contact card on their fridge at home. Include the best email and phone number to reach you at. 4. 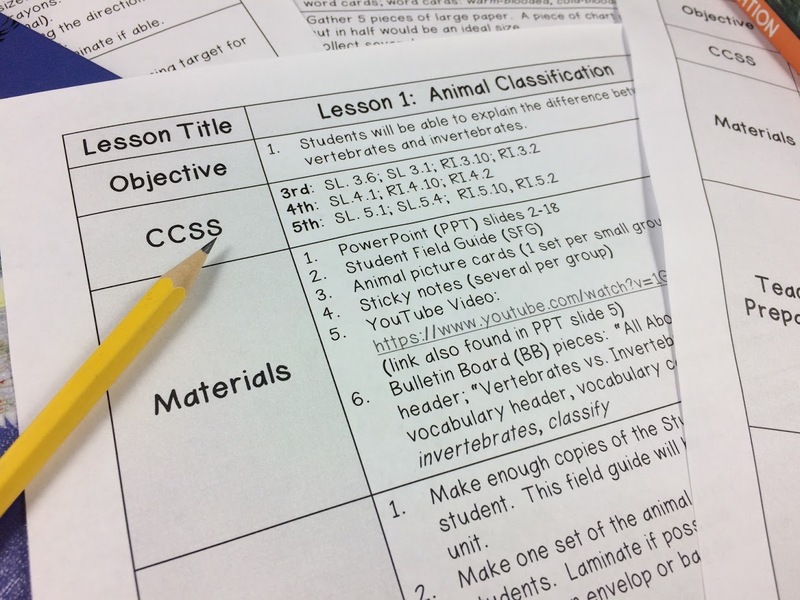 While your students' parents are visiting, why not have them fill out some important information that YOU need! For example, have parents sign up to receive text reminders. In this post learn about a really cool app that you can use to send messages and reminders via your phone. If you missed that video tutorial I shared, you can see it here. 5. Have parents fill out a self-addressed envelop for you to send home a thank-you note for coming to open house. You can include positive notes about what you have noticed about their child so far this school year. 6. Send parents home with important information about your classroom. A simple flip book that even your students can help prep before the big night is an easy way to compile all the information you'd like to share with your parents about your classroom management systems, homework policies, your daily schedule and more. This one is part of my Open House Survival Kit and it completely editable! 7. Prep an Open-House slide show. 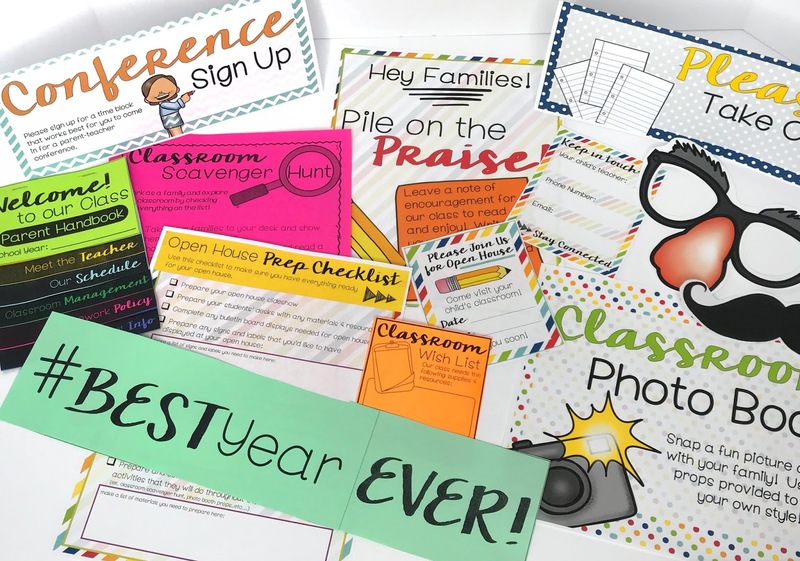 As families enter your room, greet them with a slide show displaying helpful information about the night and fun facts about your classroom. Again, this will free you up from repeating the same information over and over and will give families guidance on what to do in your room during their visit. Have the slide show planning on auto-repeat (an easy feature inside of PowerPoint) throughout your night and families won't miss a single slide! NOW FOR SOME OPEN HOUSE FUN! 8. Open house is one of the only times when parents and students will be together in your classroom at the same time. I love the idea of having a photo booth available for your parents and students to snap a few pics. 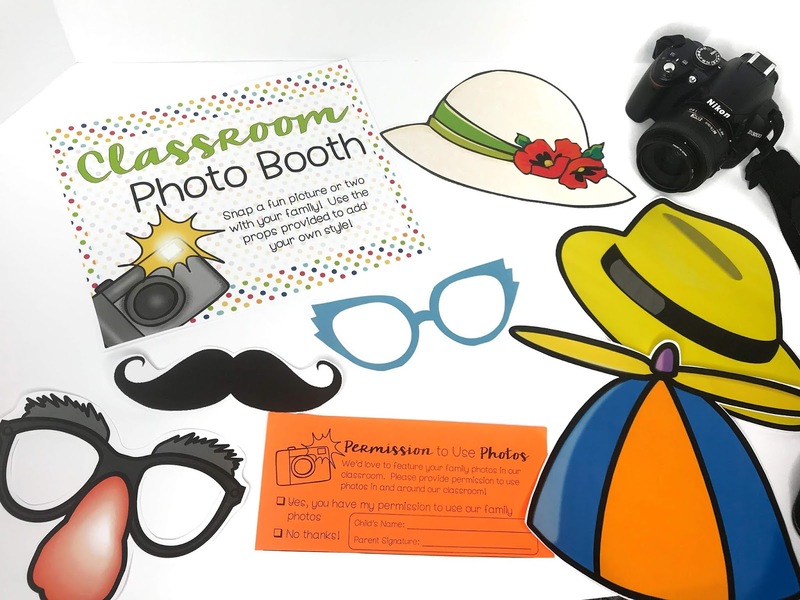 Create a simple photo booth using butch paper, decorations, and fun props. When families arrive, have them visit the photo booth. You can provide a school camera or tablet so that you can have copies of all the pictures. Families can take turns taking pictures of each other. 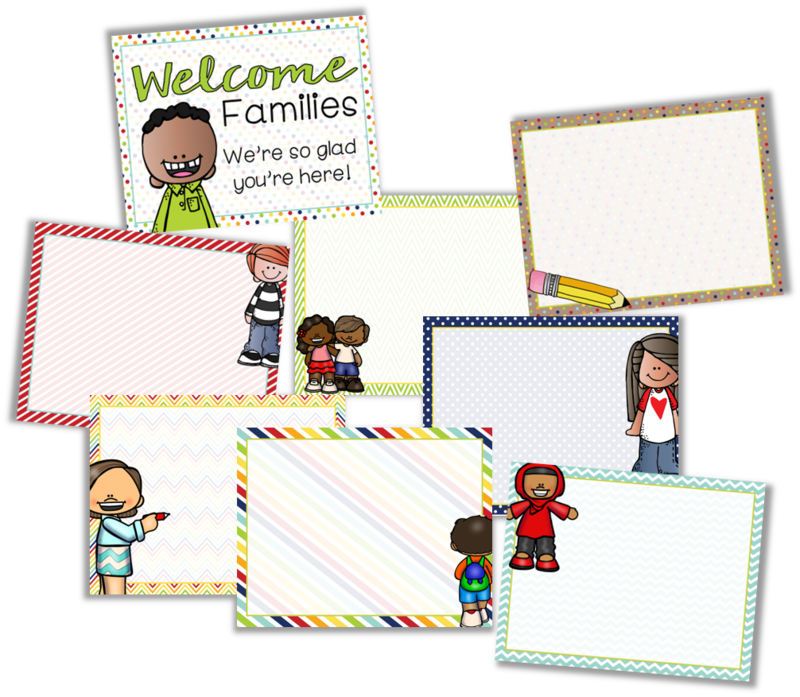 Display these pictures throughout your classroom to make it feel home-y. 9. 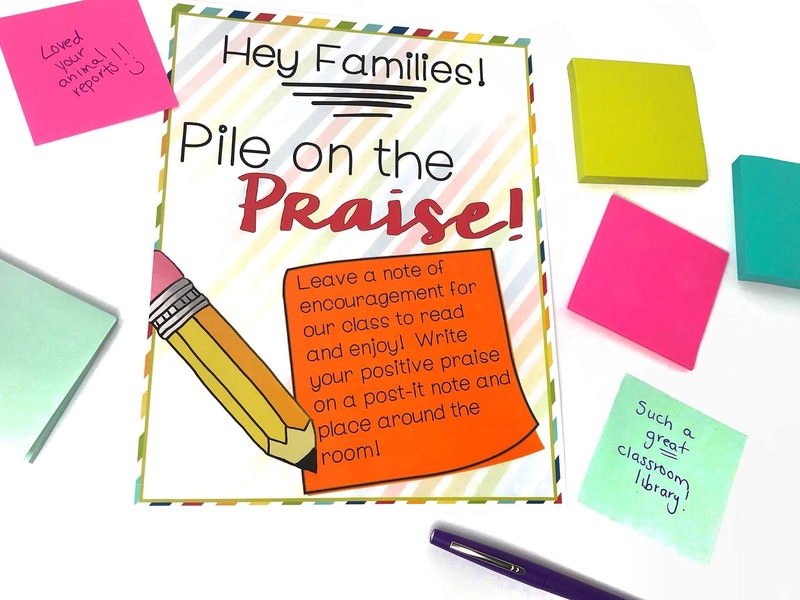 Get parents involved by having them leave positive notes around your classroom. When students return to school after open house, read through these notes as a class for instant smiles! 10. 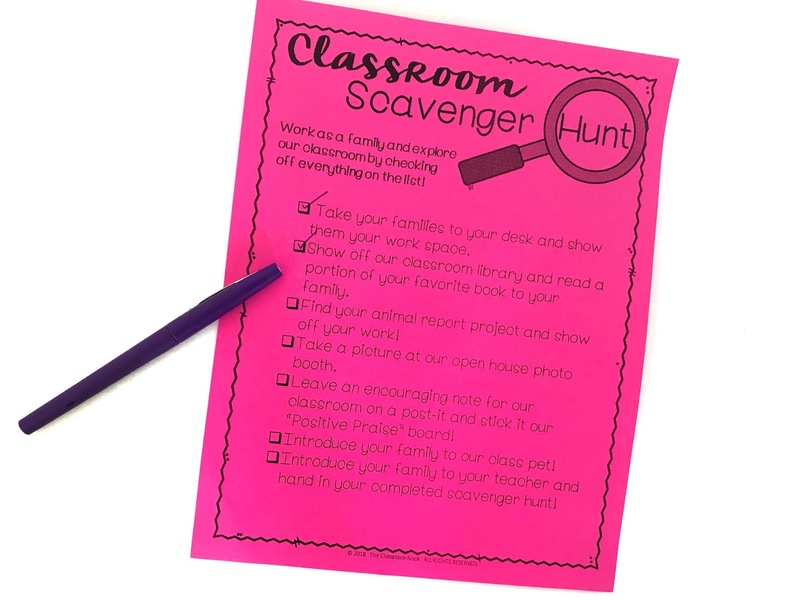 Have your students and parents go on a scavenger hunt around your classroom! 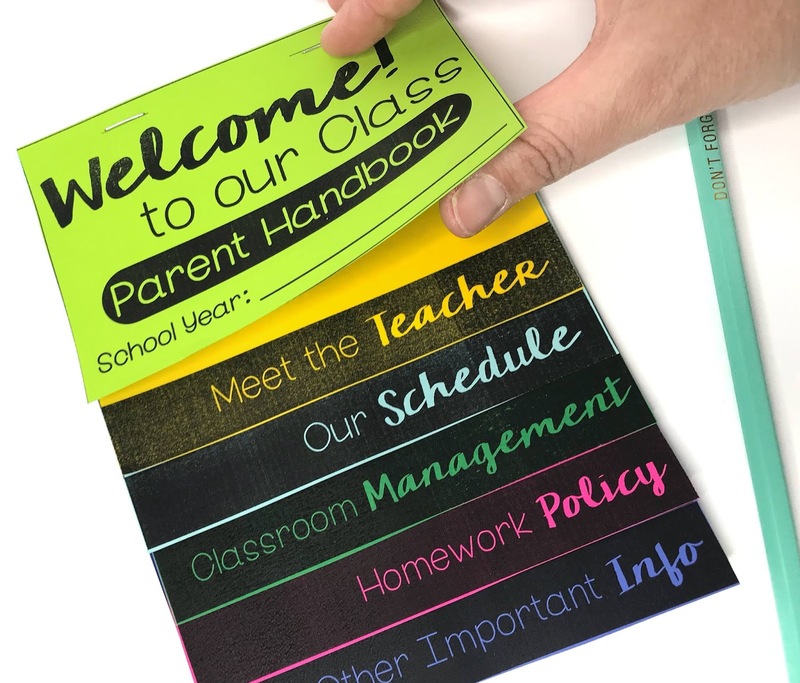 This is a great way for parents to get to know your classroom while your students can show it off! Create an easy check list for families to complete to make sure they visit and see all the important parts of your classroom. 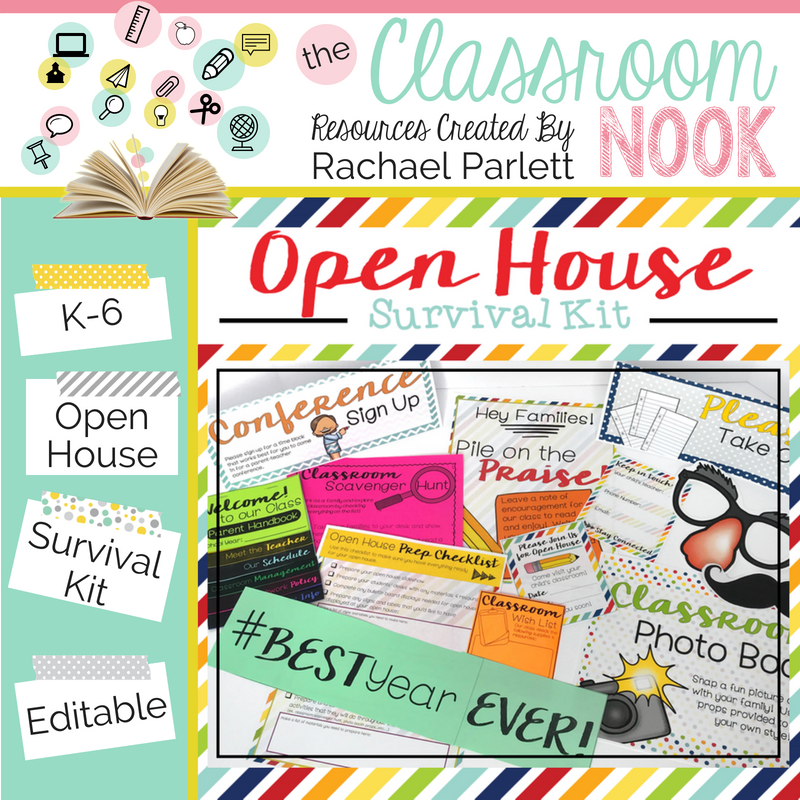 If you're in a crunch and want some ready-made Open-House resources, check out this survival kit that will save you tons of prep time! What activities or must-dos do you include at your open house? Try "Link & Think" Digital Learning Guides for FREE! Visit The Classroom Game Nook's profile on Pinterest. © 2015 The Classroom Nook. Kiersten Template designed by Georgia Lou Studios All rights reserved.